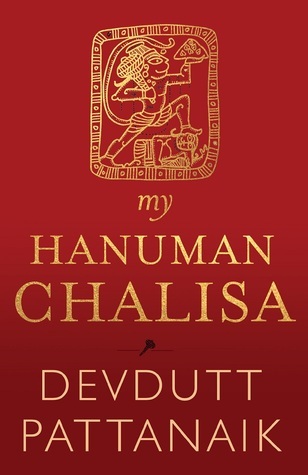 Reflecting on one of Hinduism’s most popular prayer for positive energy, acclaimed mythologist Devdutt Pattanaik demystifies the Hanuman Chalisa for the contemporary reader. His unique approach makes the ancient hymn accessible, combined as it is with his trademark illustrations. Every time we experience negativity in the world and within ourselves, every time we encounter jealousy, rage and frustration, manifesting as violation and violence, we hear, or read, the Hanuman Chalisa. Composed over four hundred years ago by Tulsidas, its simple words in Awadhi, a dialect of Hindi and its simple metre, musically and very potently evoke the mythology, history and mystery of Hanuman, the much-loved Hindu deity, through whom Vedic wisdom reached the masses. As verse follows verse, our frightened, crumpled mind begins to expand with knowledge and insight and our faith in humanity, both within and without, is restored. Devdutt Pattanaik writes and lectures on the relevance of mythology in modern times. He has written over 500 articles in newspapers, and thirty books, which include My Gita, Business Sutra: A Very Indian Approach to Management, Jaya: An Illustrated Retelling of the Mahabharata, Sita: An Illustrated Retelling of the Ramayana, 7 Secrets of Hindu Calendar Art, 7 Secrets of Shiva, 7 Secrets of Vishnu, 7 Secrets of the Goddess, The Book of Ram, 99 Thoughts on Ganesha, Shikhandi and Other Tales They Don’t Tell You and Myth=Mithya: Decoding Hindu Mythology. He lives in Mumbai. I have always enjoyed Devdutt Pattanaik's books because of their simplicity in decoding mythology and explaining their intricacies so well. Hanuman Chalisa which is sung in praise of Lord Hanuman has been one of the most recited hymn. Since childhood I have been taught to recite it the moment I feel scared of anything and somehow it always reassures me that I am taken care of. The book, beautifully bound in a red cover with the title embossed in gold carries the same feeling of reassurance. It is soothing not only to the sight but also to the heart, mind and soul. 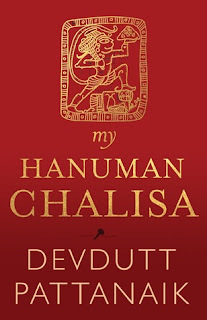 The book begins with the author explaining the reason behind the title and the narrative of the book.He goes onto explain in great detail the meaning of Hanuman Chalisa. He has also highlighted the different variations of the Lord in different religious texts. Reading through those pages is an enriching experience as you come know about things you never knew about before. For e.g. Did you know that Lord Hanuman has reference in the Malaysian culture as well? Bringing together snippets of wisdom from all the Vedas and Puranas, he has strung a book that strikes a chord with you instantly. The minute differences between the Ram Charit Manas and the Ramayana has been brought out very beautifully making you wonder at the magnanimity of it all. The charming aspect of the book has to be the lucid narration and impeccable research which makes reading it a pure joy. Across age groups, this is one book that fills you with awe and inspiration. It makes you curious to know more about the rich Indian cultural heritage which otherwise has been left ignored for so long. A perfect gift to kids and everyone who is keen to learn more about Lord Hanuman and His story. Highly recommended for the sheer beauty of its narrative. 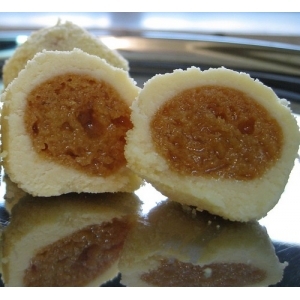 This book is like Kheer Kadam - a perfect combination of the best of two worlds, tradition with modernity.